Sites like CareerBuilder and Indeed are great go-to resources for most job-seekers. But you have a particular set of skills, and general job boards are unlikely to have the jobs that you want, or if they do, you’ll have to wade through thousands of irrelevant job postings. That’s why we put together this resource, for job-seekers in specific niches of Business, Nonprofits, IT, Web Development, Data Science and more. Note: Information denoted with * is based on estimates; other figures were provided directly by sources. To update your board’s information or give us a tip about your favorite niche job board, contact us today. Coming into the world in 2001 as JobHog.net, AgCareers’ stated mission is to “Feed the World With Talent.” Today, the site is largely considered one of the pre-eminent sources for staffing in the agriculture and food industries. AgCareers.com marketing associate Bonnie Johnson told us that despite some potential technical requirements for agricultural jobs, employers are increasingly emphasizing soft skills. “… employers note that a candidate’s verbal communication, teamwork, and problem-solving and decision-making skills have the most influence on the hiring decision. Agricultural employers are also looking for leaders for new graduate positions; the most valued attribute is leadership experience,” Johnson told us. Affiliated with AgFunder, a major VC funding firm that invests heavily in agriculture technology and food production companies, AgFunderNews publishes daily, offering the latest updates in the industry and analysis of sector trends. While most listings posted to the job board are outside the United States, a good number of them are remote-based. Unique in offering several real-world resources in the form of job fairs around the East Coast, including in Atlanta, Baltimore and Washington, D.C., CyberSec Jobs’ listings are highly segmented, allowing job-seekers to further drill down into their areas of interest. Considered the largest go-to source for data scientists, mathematicians, machine-learning engineers, and other analysts, Kaggle boasts more than 1.5 million professionals in its community. Kaggle also provides a repository of publicly available datasets on a range of topics from restaurants to Olympic athletes as well as data science and machine-learning competitions. In addition to allowing users to search for data jobs in any U.S. city, Data Elixir provides a curated weekly newsletter of data science news, resources, and project inspiration, which helps job-seekers ensure their skills are on-point. As Data Elixir founder Lon Riesberg told us, “For people interested in data-related jobs, it’s key to stay informed. The entire data space is moving fast! Newsletters like Data Elixir can be super helpful for getting insights into how things work at a variety of organizations and for staying on top of new tools, techniques and trends.” The salaries posted on Data Elixir average $100k+ and sometimes top $200k. A relatively young job board, FinTech Fans provides a major resource for fintech job-seekers the world over, particularly focusing on a few European hubs — Amsterdam, Berlin and London. The board also is unique in that it practices what many in the fintech community preach with an ICO aimed at establishing a decentralized fintech employment marketplace. As of Sept. 7, 2018, the ICO had reached about two-thirds of its soft cap. Focused on the startup and tech scene in New York City, Built in NYC includes reporting on startups in the industry, best places to work and investment advice, in addition to its job board, which covers more than a dozen areas of fintech and the broader tech industry, from programming and development to legal and HR. The site also features a running average of salaries for various fintech-related jobs in the city. PS, the average of the averages is nearly $120,000. Billed as a rebuke to headhunters and too-general job boards, Ruby on Rails Jobs was built by Ruby developers for Ruby developers. In addition to a weekly newsletter, job postings are tweeted out on a regular basis. A job board strictly for data scientists conversant in the R programming language, Jobs for R-users lists full-time, part-time, freelance, and even internship jobs that will rely heavily on the use of R programming skills in data science and advanced analytics. Focused on targeted job listings heavy on Ruby on Rails programming, Ruby Now bills itself as the world’s first Ruby jobs board, and it’s been around since 2005, so the board has a long history in this particular programming niche. According to Stephen Robinson, founder of East Rock Software, the IT consulting firm that built and maintains Ruby Now, smart job-seekers in this field should be as picky about where they want to work as the companies are about who works for them. “Be proactive and find the companies that you want to work with. It’s the same advice that we offer at www.eastrockrecruiting.com for companies. It’s important to be proactive and find the right culture fit, the right position that you can grow from,” Robinson said. What started as (and continues to be) a massive question-and-answer forum for web developers, designers, and enthusiasts, in 2010 Stack Overflow launched a job board that quickly became the go-to place for web professionals. An expansive repository for storing and hosting software code, GitHub is known for boosting productivity and collaboration for developers across the world. Its job board includes postings from around the globe. What started as an industry newsletter for high-talent designers, Krop is a job board designed for web creatives, including designers and developers. Unique among most other job sites, Krop allows job searchers to build a portfolio on the site. Part of Employment Crossing, a large-scale job board aggregator, eCommerce Crossing offers thousands of job postings specific to e-commerce, one of the largest specialties Employment Crossing offers. One of the country’s preeminent organization of economists, AEA’s jobs board, nicknamed JOE (Job Openings for Economists), was established as a publication for economists around the globe in 1974. Today, JOE is published electronically 10 months out of the year (it doesn’t publish in January or July). With a pedigree that goes back to 1843, The Economist’s online portal allows job-seekers to search posts specific to the field, as well as uploading their resumes and CVs for employers and recruiters to search in the future. CareerVitals boasts a constantly updating range of job openings in addition to new posting alerts and even a resume critique to help job-seekers put their best foot forward. A product of the American Hospital Association, HealthCareerCenter also offers a newsletter and other candidate resources, such as profiles and new-job alerts. Managed by the Association of Schools & Programs of Public Health, Public Health Jobs focuses on healthcare job openings at public institutions, government agencies and other nonprofit organizations. Beginning its life in 1998 as a hotel job board, Hcareers now reaches nearly 6 million professionals in the hospitality industry around the world. In addition to its robust job listings, Hcareers also supports efforts to fight human trafficking, which often revolves around hotels. Founded in 1998, Horizon Hospitality Associates specialize in recruiting for organizations in restaurants, private clubs, hotels and resorts. In addition to a general job board, candidates can submit their resumes to be paired with curated employers. The premier human resources management organization, SHRM administers certification and provides education to professionals in the HR space in addition to conducting or sponsoring major research initiatives and industry thought leadership. As one of the most popular specialties in the iHire network, which features nearly 60 industries, iHireHR features hundreds of new listings per day with jobs in everything from academia to retail. With jobs ranging from organizational management to clerical work, Work for Good is one of the most robust and broadly focused job boards in the nonprofit space. Since its founding in 1999 as Opportunity Knocks, Work for Good also offers a monthly newsletter and insights from others in the nonprofit space, from prepping for interviews to building an organization’s fanbase. With a focus on fundraising as well as mid-level and senior management positions, ExecSearches has been around since 1999. 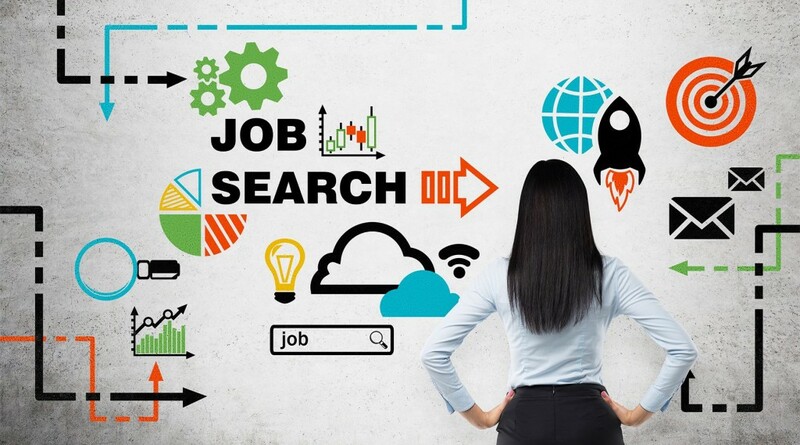 In addition to the well-trafficked job board, ExecSearches’ blog also offers advice and tips for candidates and recruiters with a purpose-driven focus. Founded in 1969, PMI is the leading organization in developing standards, practices and credentials in project management. In addition to various certification programs, PMI has chapters in 80 countries around the world. Operated by Pro REA Staffing, Pro Real Estate Jobs offers a frequently updated job board in addition to networking and access to recruiters. With jobs ranging from commercial and residential real estate to mortgaging and insurance, Pro Real Estate Jobs goes beyond just one facet of real estate. A professional organization for those in real estate management, IREM offers a series of sought-after credentials as well as having a wide national network of chapters. In addition to its job board, IREM also offers career coaching and resume writing services. Founded in 1989, CREW Network aims to help advance women in commercial real estate, a male-dominated field. In addition to its robust job board, CREW Network offers dozens of networking events around the world each year. A sales training provider, Sales Gravy’s job board includes postings from around the United States in sales- and marketing-related jobs. Powered by Nexxt, a corporate recruiter with 20 years in the industry, Sales Heads listings include general sales roles but also broad variety, from groceries to insurance.